Updated lobby to Travelers thanks to the staff of Robert Graham. Thank you to the folks at Robert Graham for updating the lobby at Travelers Safe Haven in New York City. The team at Robert Graham volunteered their staff, time and supplies over two days to help spruce up the lobby of one of Urban Pathways oldest facilities. 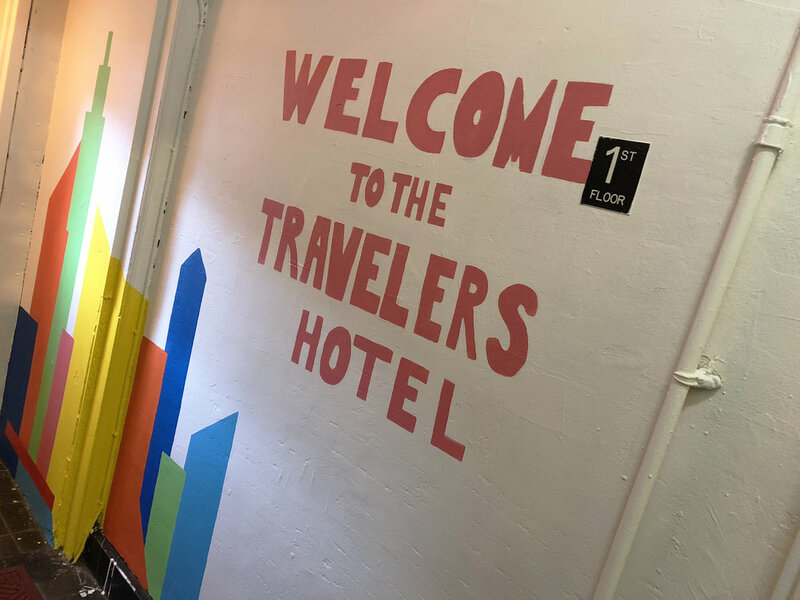 Designers from RG created a bright and inviting mural that was New York City themed, inspiring and immediately loved by residents and staff. Check out more images below, and reach out to Urban Pathways development team if you are interested in volunteering and or donating supplies.